Very easy to use. 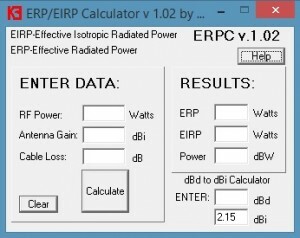 Enter RF power, known antenna gain and approximate total cable losses. Click on “Calculate”. 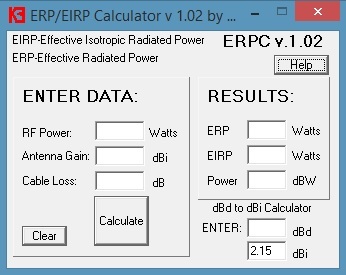 The ERP and EIRP results would be on right side. The difference is just reference to isotropic antenna or dipole. Also you’ll be able to convert dBd to dBi. 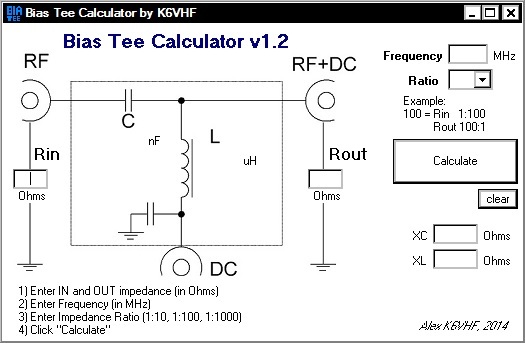 The Bias Tee calculator helps to calculate the values for a typical bias tee circuit (capacitance C and inductance L). You have to put input and output impedance, frequency and impedance ratio (usually value of 100). 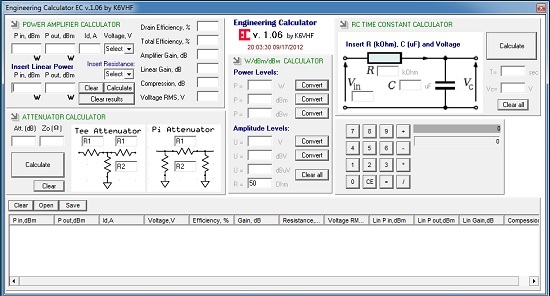 Right now the XL and XC calculates based on fixed impedance ratio but in next version they will be variable depend on different brands of capacitors and inductors. If you are designer and work with power amplifiers you will like this program. All test data can be save as TXT file. 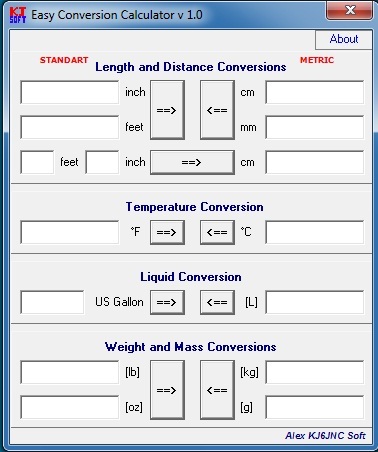 A simple conversion calculator for everyday use US to Metric and Metric to US. 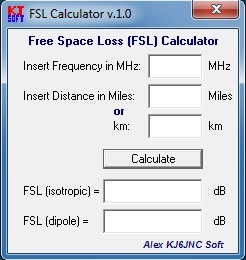 For your convenient use – FSL Calculator. You may find it useful. 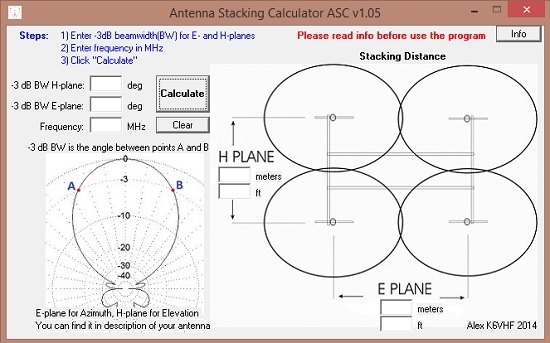 It calculates the stacking distance V and H in 4 antenna stack array.